"In the shadows of all that we were, we fight for all we can be." 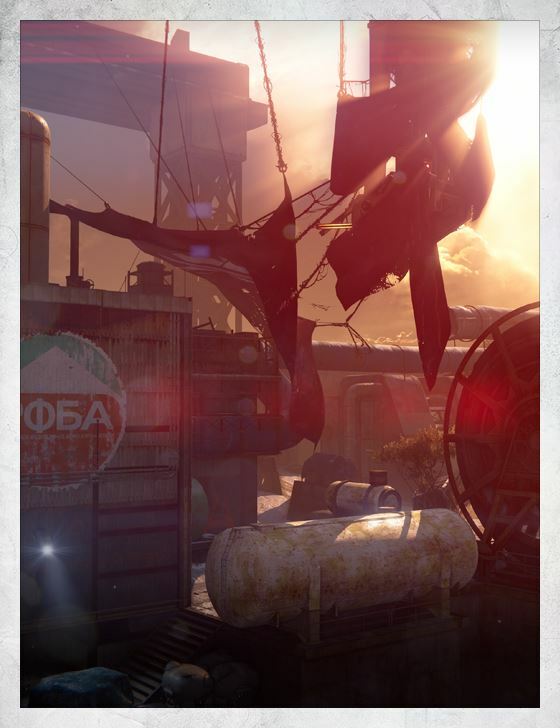 Grimly referred to as "The Graveyard," Exodus Blue was only recently secured for Crucible combat. Located among the ruins of one of the Cosmodrome's colony ship gantries, this site is a memorial to the grief and horror of the Collapse. Thousands died here in a last-ditch effort to outrun the oncoming Darkness. But it is also a sign of hope. Once the Cosmodrome is secure, the great colony ships may fly again. And this location was chosen specifically to send a message to the Fallen House of Devils - "You may be picking at the bones of our history, but we are still here, and we are still strong."